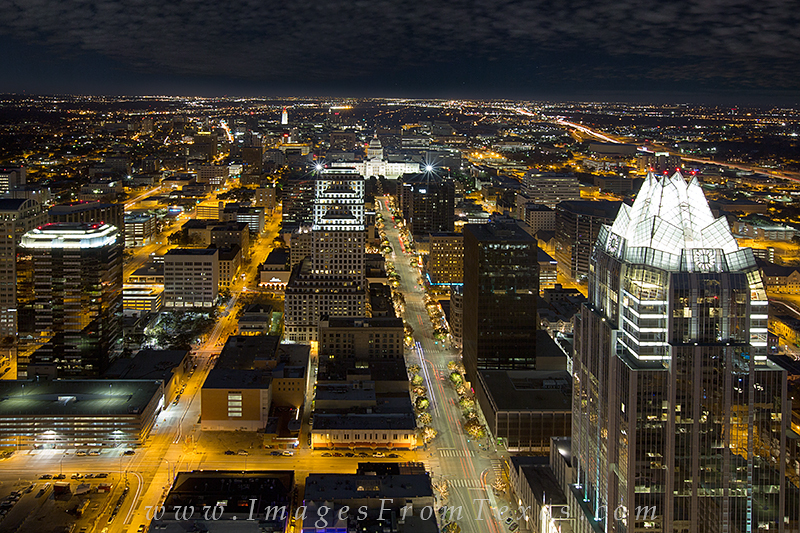 The Austin Skyline at night... low clouds hang over the Frost Tower, the Texas State Capitol and the UT Tower. Congress leads down the middle of the image to the state capitol and to the right (east) is I-35 heading north to Round Rock, Georgetown, Waco, and Dallas. Photo © copyright by Rob Greebon.